In some shots, yeah. Of course, that could also be because they both wear makeup- but the hair color and clothing Colors（色） are the same, too. Give または take a few things, I suppose. Somewhat. 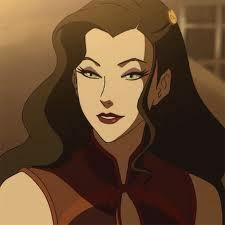 It's a better comparison than saying Asami looks like Azula. But I think that both woman are very different personality wise. 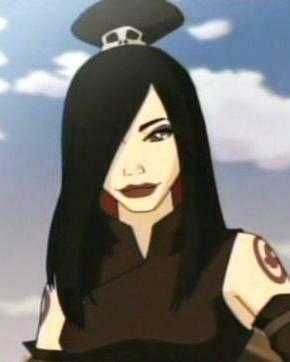 Fianally someone else who thinks she looks like Azula! There isn't too much resemblance besides black hair.